Zvov is an international trio based in The Netherlands and Belgium. Instrumentally, it is a 'lower' version of the traditional classical string trio. 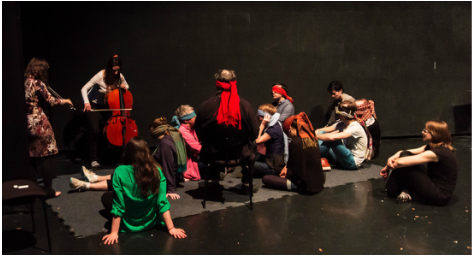 Zvov exists of interdisciplinary musicians - performers, composers and improvisers, who combine their varied, broad interests, experience, skills and practices into the overall ensemble creation. By shutting down one of our senses, the brain starts to replace the impulses with imagination and becomes more alert to other senses. This performance invites the audience to enter a space of imagined reality, led by sounds and sensory experiences. You're welcome to come unprepared. Zvov Sensory was premiered in Koninklijk Conservatory Spring Festival 2015, The Hague. The concept was created as a collaborative project of Zvuv String trio and Kc Composition department, with composers Yvonne Freckmann and Liisa Hirsh. Babel Project celebrates gibberish through voice, text-sound and instrumental performance. 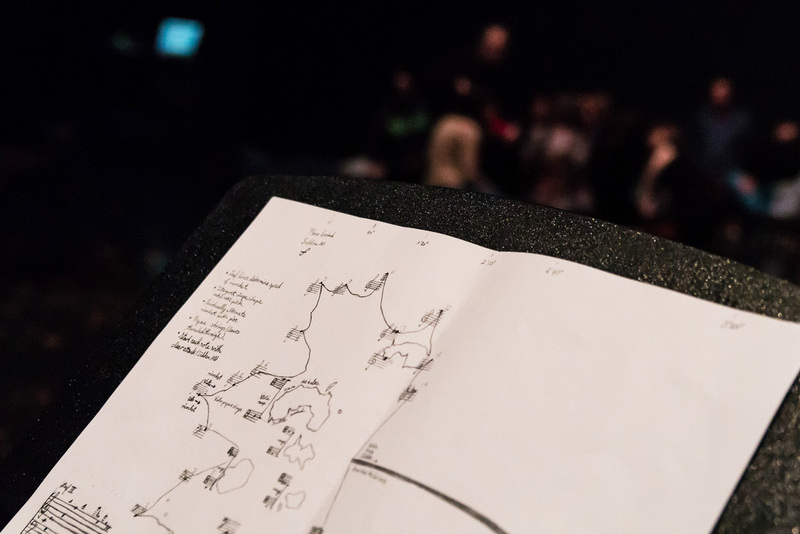 Through gibberish performances, workshops and lectures, The Babel Project probes and expands the sonic possibilities of music and language, creates new accessible sound and new forms of communication between the performers and the audience. In these performances, sometimes the instrument “speaks” whereas gibberish “makes music”. "Between sonic expression and linguistic meaning lies gibberish"